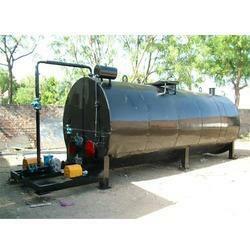 Manufacturer of a wide range of products which include asphalt tank. Facilitated by a technically-advanced process, we are engaged in offering a premium quality range of Asphalt Tank. The offered asphalt tank is manufactured using high-grade material and advanced technology in accordance with international standards. 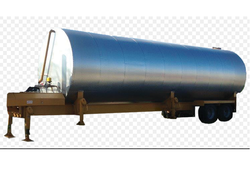 Our customers can avail this asphalt tank from us in various customized options at reasonable rates. Moreover, we offer our asphalt tank in different specifications to meet the varied needs of customers. We are counted as consistent firm actively involved in developing modern day Asphalt Tank. We are expanding our research capabilities to develop advanced quality asphalt tanks that are trusted widely for its efficient performance in metering and spraying bitumen. These tanks are developed as double walled fabrication done from the high-quality raw material under strict quality supervision. Further, we are manufacturing these tanks in both direct heating and thermic oil heating configurations which can be ordered from us at a competitive price. Looking for Asphalt Tank ?